So this is a game that’s gonna need some explaining. The sixth 48-hour Global Game Jam starts January 24th, and I can’t be more excited for it. I treasure the memories of the panic and the productivity, the initial minutes of confusion as we stumbled around trying to come up with an idea around the theme, and the exciting escalation as the mist cleared and our game idea came into being. The empowering feeling of making something with nary a clue what I was doing, and the electrifying flow of caffeine through my veins. My team from my first Global Game Jam. I remember jamming with Xander and Bard, the looks of the other developers at Citizen Space as they peered over at us every time a zombie screeched and the day we exhibited our game at Mr. Grant’s AP Comp Sci class. I remember that weekend with Catherine and Esteban, as we munched on thin-crust pizza and wrote Processing code, surrounded by LA’s most renowned indies. And those magic hours in the early morning, as we giggled like sleep-deprived schoolchildren at silly Italian Spiderman puns and our game evolved from The World’s Heartbeat to Unhearted, culminating in a delightful surprise we left just for our judges. So, yes, I’m getting a bit sentimental over my Global Game Jam memories, but I’ve good reason to do so: the Global Game Jam is a magical weekend filled with delightful stress and love. For an aspiring game developer, there’s no better place to gain loads of experience and have a great time doing so. Here are nine reasons why it is the best non-professional gaming event of the year. Play is an act of volition undertaken for its inherent value to the individual, whereas work is a compulsory act undertaken for an external motive. Creation can be either, but both academia and the industry tend to privilege the latter due to professional obligations. Game jams exist purely to serve the former: game jamming is playful. The joy of making stuff is diminished when it is done out of a compulsive need to answer to an authority or meet demands. Participation in the Global Game Jam is voluntary, and you are free to make whatever you want without having to answer to requirements handed down from some disconnected arbitrator. At the Global Game Jam, you are free to create games simply because you want to, playing with tools and methodologies, rather than working with them. Given how structured and hierarchical media-making usually is, there’s not quite a better place for playful, subversive game-making. 2. A safe space to make crappy/weird games. It is said that academia and indie development is a safe-haven for goofy and experimental games. This is not entirely true. Expectations of quality and polish inherent to classroom settings privilege projects that aspire to fulfill existing notions of “good” game design, leaving “intentionally bad” games without a place in traditional game design classes. Indie developers outside of the fringe still call their line of work a “job”, and thus must fulfill consumer expectations of polish and playability in order to be commercially viable for distribution on networks like Steam. Given the expectations of those settings, there is little room there for “crappy” games. What space then is there for the interactive joke? The Twine-based acid trip? The plastic-guitar controlled shmup? The Global Game Jam is the exact place for such goofy, playful experimentation, there is no more welcoming space for people to make weird things. Where else would you get delightfully-meta project simulators, introspective games about relationships, or interactive jokes about butterfingered surgeons? 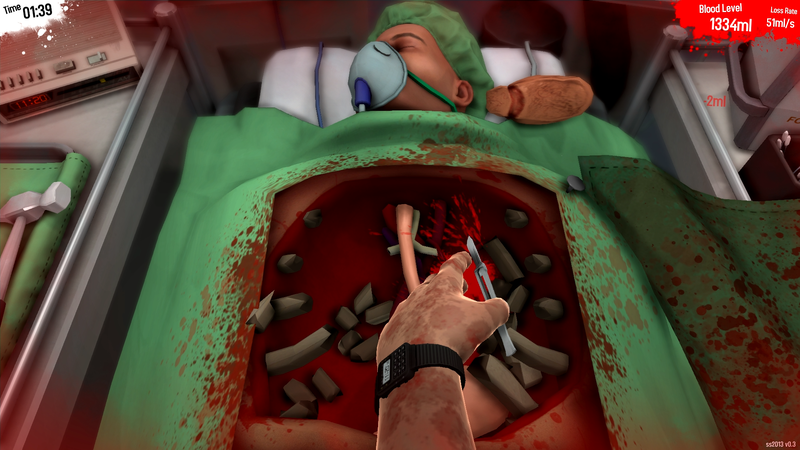 Surgeon Simulator 2013 took off incredibly last year, selling thousands of copies and getting more positive media attention than games like Crysis 3 and God of War: Ascension, and it would have never been crafted without the silly and playful atmosphere of a game jam. 3. Make new friends and bond with existing ones. Collaboration is a special kind of relationship. It requires one to assert exactly enough of their ego to invest themselves in a project and realize a strong vision, but it also demands that one reel back and allow others to express themselves through your idea by modify, tweaking, and editing it. A collaborative relationship is not an unilateral one, with one individual dictatorially demanding his collaborators to surrender their dreams and individuality to realize his vision, but rather a multilateral dance between equally expressive minds. Each participant in this dance swerves back and forth, gently pushing their ideas forth while gracefully gliding back to let others do the same. Collaboration at its best is fuel for true friendships. I loved my board games class last semester not just because of the excellent lecturer, but also because of the project-based structure of the class. A new game was due practically every week, and groups were assigned randomly. 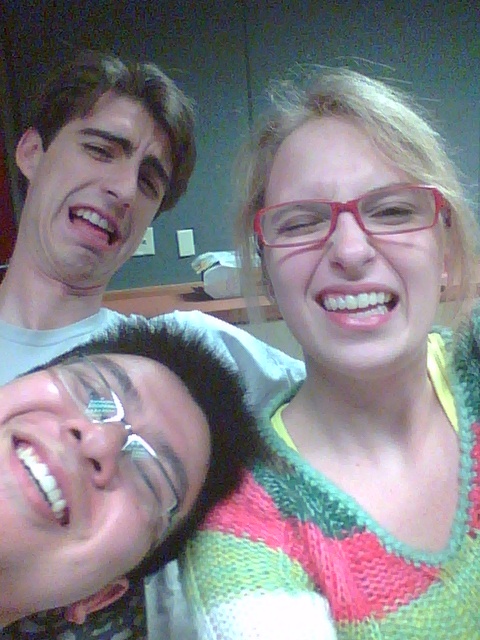 The high-pressure environment of the class and the free flowing, improvisational nature of the projects fostered a collaborative relationship with my classmates, and I probably made more friends in that class than I have in any other non-games class. The Global Game Jam promotes precisely this kind of mutuality. If the sappy reminiscing above tells you anything, its that those 48 hours made me close friends with the people I chose to jam with. Collaboration is not always so perfect, some may overzealously assert their vision while others might panic under the pressure, but the shared experience of watching something awesome unfold out of your combined doing is deep and moving. There’s this unfortunate stigma surrounding game development that intimidates a lot of newcomers away from it. A narrative exists that game-making rewards only the best autodidacts, that the only way one can get experience in making games is by making games, leaving many people lost and confused as to where to start. Some may join indie or student projects, but given that hierarchical structures and standards of quality still exist with those groups, its easy for newbies to feel lost and confused when trying to participate in those teams. That’s assuming that those groups welcome newbies at all, the student projects I’ve seen at USC have become increasingly competitive and exclusive, demanding too much from confused beginners simply looking for stable ground to grow from. Unhearted was coded with only loose understanding of Processing. 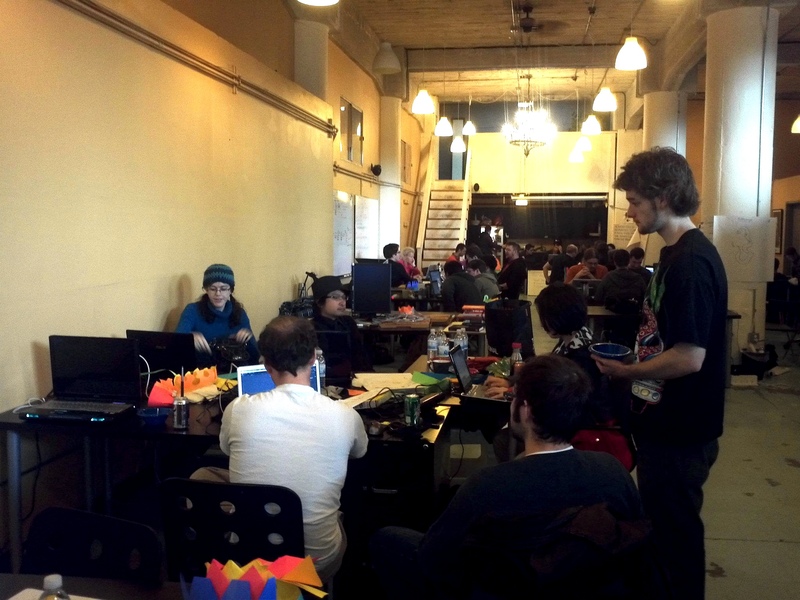 At the Global Game Jam, the only barriers to entry are mental. If you know Photoshop, then you’re the artist. Know how to use Audacity? Sound designer. Basic familiarity with C#? Programmer. Its easy to feel intimidated in the face of such responsibility, but the feeling of agency over how you want to do things is empowering, and that courage and confidence will carry you far further than any mentor can. This is a big one. The Global Game Jam is not a competition, but rather a social gathering where people come together to make games, everyone wants each other to succeed. There will be numerous experienced developers there, and the communal nature of the event encourages people to share ideas and teach tools and skill to each other. The diversity of the people who come out to these events guarantees that you’ll be able to find at least someone to teach you the secrets of any given tool, be it Photoshop, Game Maker, Unity, or XNA. Collaborate with at least one very experienced jammer, and you’ll come out a far better game developer than you were before participating. 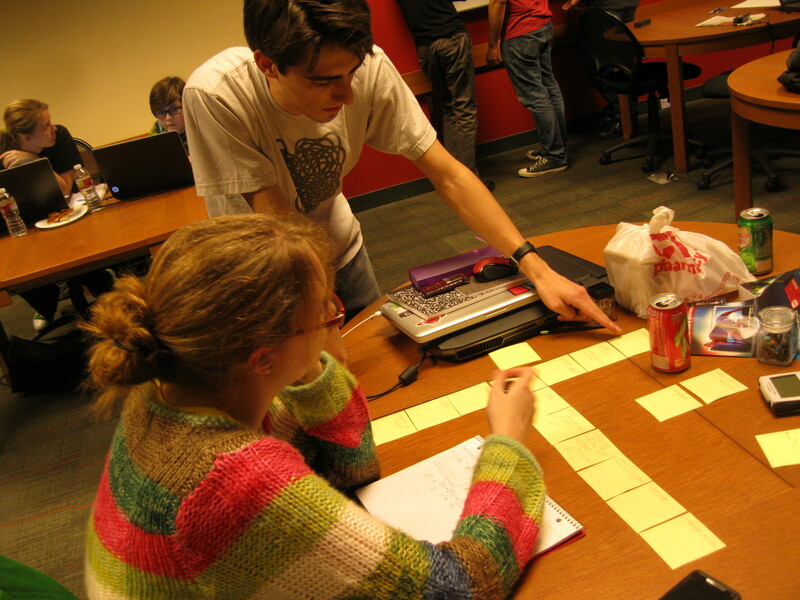 For an aspiring game designer, there’s no better place to make your first game. The 48 hour time limit helps too. In any other setting, it is easy to slack off after watching tutorials and not put anything you learned to practice, making autodidacticsm basically useless. The expectation for one to complete a game by the end of the weekend forces new jammers to put what they learned into practice immediately, and thus, inexperienced jammers learn important skills here faster than anywhere else. Orson Welles said that “the enemy of art is the absence of limitations”, and in my experience, this is true. Limitations and conditions force me to think creatively to overcome challenges. Reality Ends Here‘s card-based prompt system and refusal to provide equipment exists to create these interesting limitations, and has caused its players to generate a wealth of fantastic work. When that digital gun goes off at 5 PM that evening, the first thing you’d probably feel is panic. Don’t. The 48 hour time limit serves to promote creativity, and a well-scoped, well-thought idea, executed well will come to fruition by the end of the time limit. Learning to work well under pressure will make you a better creator. 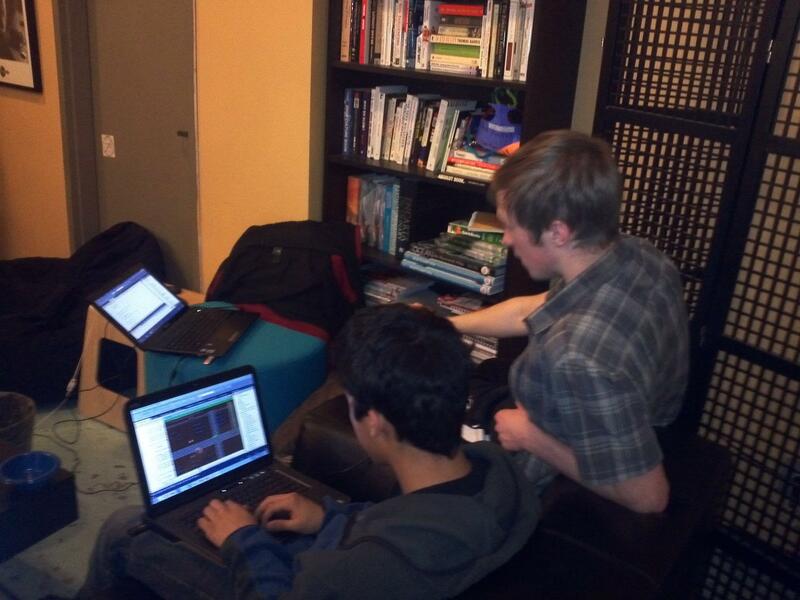 You’ll face similar pressure everywhere in life, a game jam shouldn’t be anything different. Starting off a new game project is an intimidating process, one look at that blank programming slate and imagining how it will evolve into a full-fledged game is scary, and collaborating with others brings its own set of challenges. Am I good enough to participate in this jam? Will I drag my team back with my relative inexperience? Will my team think I’m incompetent? Am I even capable of making games? Maybe I should come back next year when I’m more ready. These mental barriers are enough to dissuade a beginner from making games, and the repetition of these excuses is enough to kill a great career at its birth. There is only one kind of fear: the fear of the unknown, pretty much anything else is imaginary. It might take a lot to step up and take the plunge, but the relief of seeing those fears dispelled is incredibly empowering. If anything, you’ll prove to yourself that you are fully capable of making games. Internalizing that notion can change the direction of your career entirely, and that courage and initiative will take you far. 8. Being part of something great. The Global Game Jam is the largest single game creation event on Earth, generating over three-thousand games over the course of two days. It set Guinness World Records for largest game jam for the last two years, and looks to do so again this year. Simply by registering for the jam and coming out to the jam site, eager and intent to make a game, you’ll be counted amongst those 13,000 developers who have come together to participate in this incredible event. How many other opportunities to set world records does life throw at you? Passing up participation in the Global Game Jam will just be a missed opportunity. 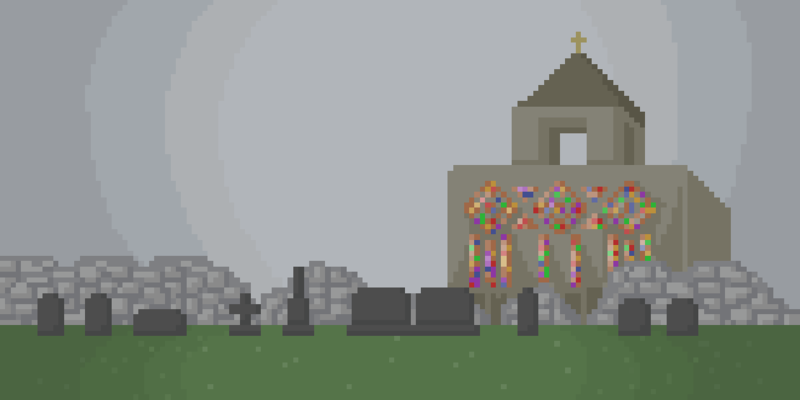 By the end of the Global Game Jam, you will have made a game. You would have accomplished what most of society can’t. There are so many people out there who wish they could make games, but don’t. Just by participating in the Global Game Jam for its entire duration, you would have done what many people only wish they could. The fear of failure is too paralyzing for most people to endure, and by participating in the Global Game Jam, you would have transcended that fear. The vast infiniteness of the unknown demands pioneers unfazed by questions of success or failure, and by taking those brave steps into it, you would have done for the world a great service. Now that you have completed one small game, what’s going to stop you from doing so again, and again, and again?